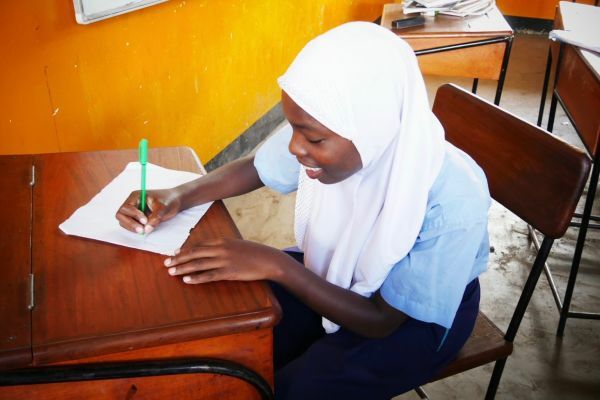 While it is common in many Western schools to encourage students to engage in art projects and creative writing, a child’s experience in many Tanzanian classrooms tends to focus mostly on writing and reading academic texts and non-fiction. Libraries are scarce and creative resources minimal. The Mungere School adheres to the government-required curriculum and students take on an overwhelming amount of work every term, our staff works to ensure students are continually exposed to activities and opportunities that go well above government requirements, making time for students to understand and to learn to express themselves as much as possible. This includes the task of having them write letters to send to their sponsors, donors who provide scholarships so students can continue their journey in education beyond the 6th Grade. Mungere students would likely not be in school today without our sponsors’ sustained support. 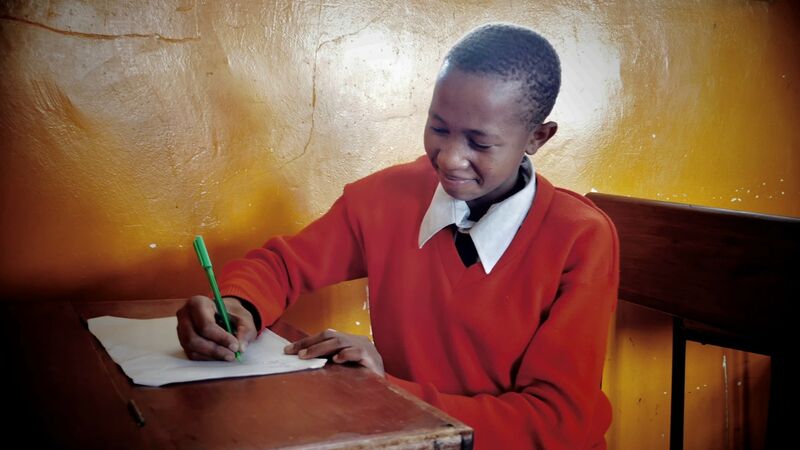 Though important, the art of letter writing is a new concept for most students coming from a rural area like Mungere, and encouraging them to express themselves on paper often takes time and a little bit of coaxing. For many of Mungere's 7th Grade students, this experience was the first proper letter they have ever written. With some simple guidelines and a few example statements and questions, each term, students are asked to write a first draft for approval. 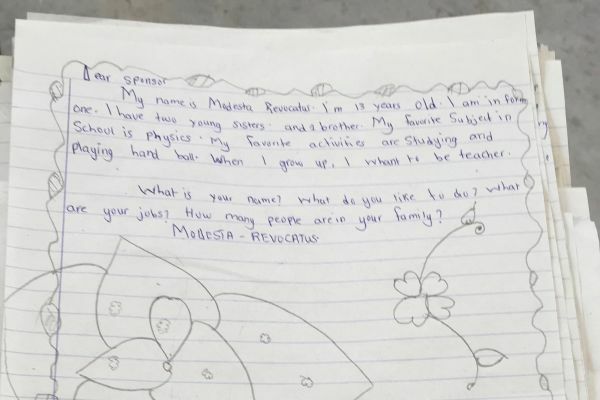 Within minutes of starting, Form I student Frank Freddy asked the first question: “What do they want to know?”, seeming to infer that personal letters have right and wrong answers. Over the years, older students at the Mungere School have really come to appreciate writing, something that allows for some creativity. When 10th Grade student Sabaha Swalehe turned in her response letter to her sponsor, she exclaimed “They have an interesting life in America. I hope to see more pictures soon!” referring to the photos sent to her previously by her sponsor family. 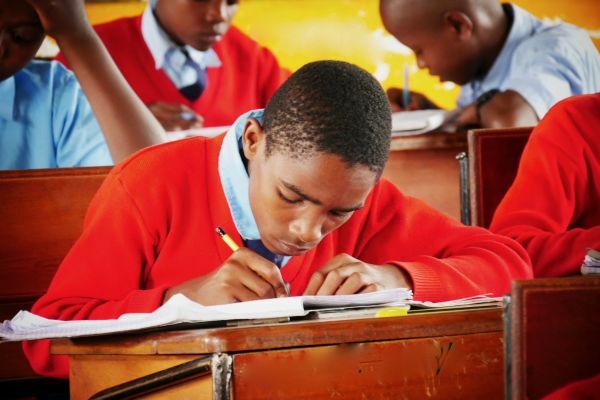 Through this process, our students have discovered that the frequency of writing to their sponsors is not only a way to practice written English but also helps learn more about other cultures. Students enjoy writing about themselves, something they already know a lot about. No studying required! Interested in becoming a sponsor? Visit our sponsor page to learn more.